Increase Your Holiday Sales with Dive Flag Jewelry | Dive Industry Association, Inc. In addition to the reduced wholesale order requirements, Dive Flag Jewelry has recently announced a new approach for dive shops and gift shops to display their merchandise and earn a percentage of the sales related to purchases made by their customers. You buy a set of Dive Flag Jewelry samples at wholesale prices. Included in your order, you get a display tray, pricing display card, 50 coupon cards for interested customers and finger/ring sizing tools. Dive Flag Jewelry assigns you a Coupon code. You fill in that code on all your cards. You display the samples. Customers admire and try on samples. You provide code card to customers. 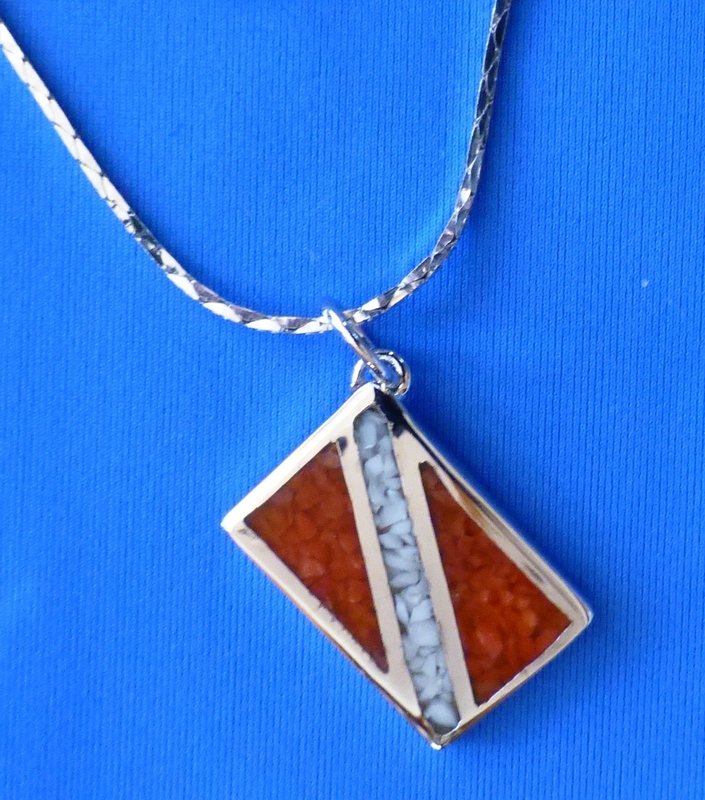 Customers purchase at www.diveflagjewelry.com and receive 5% discount when using code. Your customer gets 5% off and you receive 5% of every sale associated with your code! 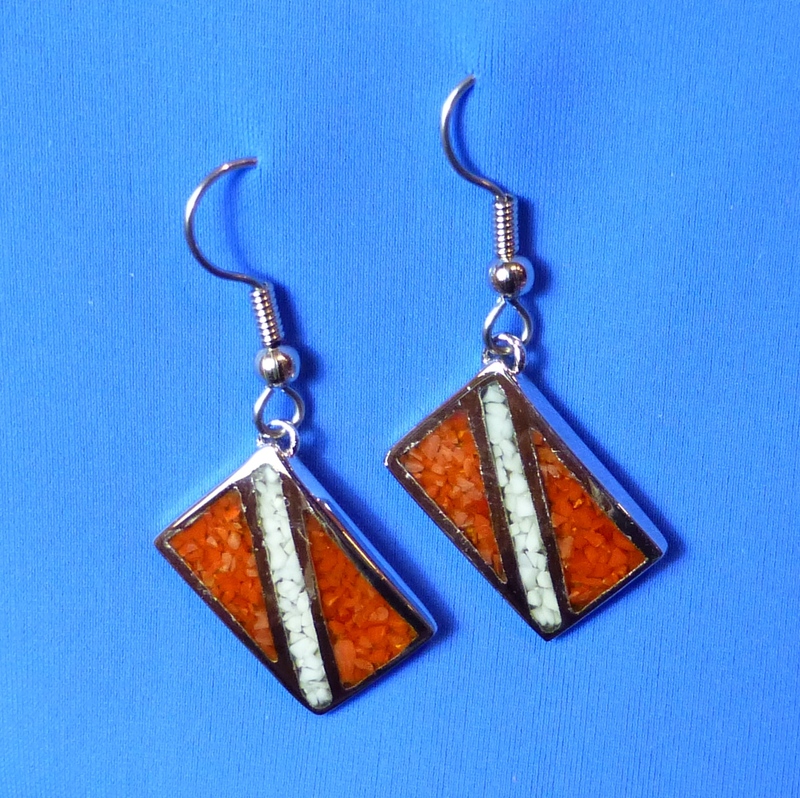 Visit http://diveflagjewelry.com/p/wholesale to learn more. Each piece of Dive Flag Jewelry features the classic, red-and-white flag made of simulated red coral and mother-of-pearl chips, inlaid into rhodium-plated bronze. Rhodium will never tarnish and makes jewelry more durable. The chip inlay is also extremely durable, since the dive flag is not just painted or baked on. 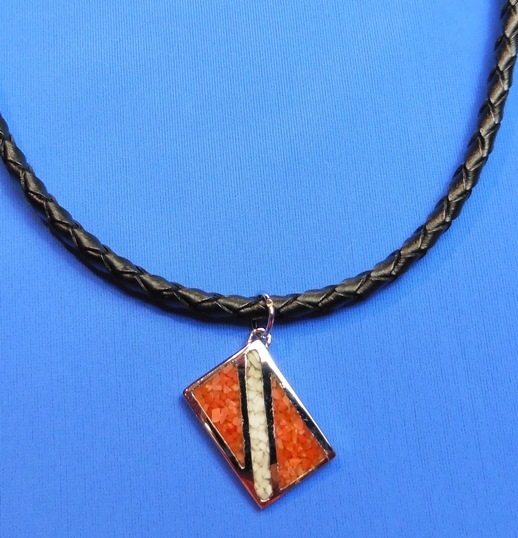 Use of simulated inlay in Dive Flag Jewelry protects our reefs! Retail prices range from $25 to $45. Dive Flag Jewelry is owned and operated by Evonne Dunn. In 1976, Evonne founded Handmaid Enterprises, which specialized in the design, manufacturer and sale of unique seashore and dive-related jewelry. Re-establishing Dive Flag Jewelry in 2012, Evonne has brought her attractive, affordable, dive-related jewelry back to life. Dive Flag Jewelry aims to provide the best products and service to their customers at the lowest prices possible. They take great pride in their company, their commitment to customer service and in the products they sell. Their online store is designed to provide a safe and secure environment to browse and purchase their products. This entry was posted in Dive Equipment. Bookmark the permalink.